The US currently has 1.6 million miles of water and wastewater pipeline, much of which is more than 100 years old. Every 2 minutes a water main breaks in this country, with more than 2 trillion gallons of treated water lost annually. Pipeline challenges are made worse by the impacts of climate change and extreme weather events. Experts forecast investment of $300 billion is needed within the water and wastewater infrastructure sector over the next 10 years. ISG has developed a focused strategy to acquire and fund profitable and well-positioned private companies that specialize in water and wastewater pipeline and manhole inspection, maintenance and rehabilitation for municipal and industrial clients. Companies acquired by ISG operate independently as subsidiaries, maintaining their brand identity and executive leadership while benefiting from the considerable resources of ISG and its team. ISG was founded by Thomas R. (Tom) Barr, whose 30-plus year career in water and wastewater infrastructure management and lab testing also includes a proven track record of executing successful roll-up strategies. 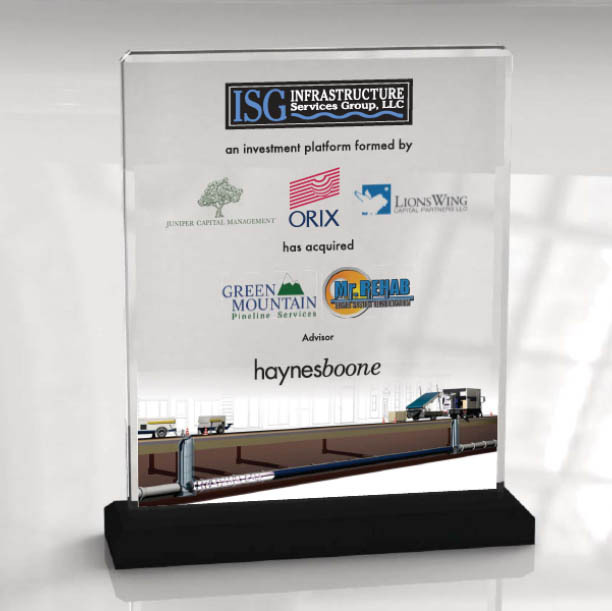 The ISG partnership includes Juniper Capital Management, LionsWing LLC, ORIX Mezzanine & Private Equity, plus the executive team of ISG’s first acquisitions, Green Mountain Pipeline Services and Mr. Rehab Sewer System Rehabilitation, who remain as equity owners and possess more than a century of experience in the industry. ISG strongly embraces the relationship between climate, weather and water/wastewater infrastructure. With this focus, our corporate headquarters are strategically located at The Collider, a global innovation center focused on entrepreneurial opportunities related to climate change, in Asheville North Carolina. Also known as “Climate City,”​ Asheville is home to NOAA National Centers for Environmental Information, with the world’s largest repository of weather and climate data, providing ISG and its subsidiaries with access to valuable weather and climate expertise and information.